Viewing topic "MO6 TO MOFX6 Should i upgrade?" 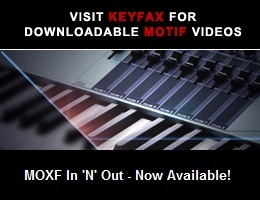 Hi I am currently a novice MO6 user and was wondering if I should upgrade to the MOFX6 for the better sounds and additional sequencer note capacity. Any thoughts? I would seriously consider the ability to STORE and access new Sample data on an optional Flash Board as a reason to upgrade to the MOXF (You don’t mention that). If that is not something important to you, you might want to consider a MOX...which you could get for a very attractive price, I’m sure. Which sounds do you think are better on the MOXF? Are there specifically some that you find lacking on your MO? Have you compared your MO6 to a MOXF6 by actually playing a MOXF? As to sequencer note capacity, the specs are identical on the MO and MOXF. If you’re running out of sequencer memory, then you might want to investigate how to better manage what’s available, or consider using a DAW.